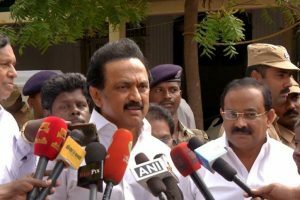 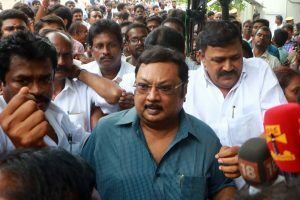 Expressing his disappointment at the manner in which DMK is being run, the former Union Minister had earlier said that all “true relatives” of his father are on his side. 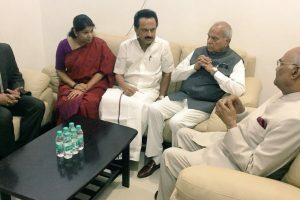 President Ram Nath Kovind visited the Kauvery Hospital in Chennai on Sunday afternoon to enquire about the health of ailing former Tamil Nadu Chief Minister M Karunanidhi. 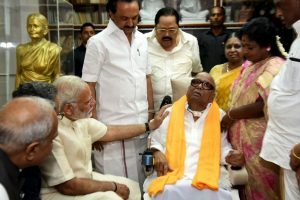 Karunanidhi, 94, was admitted in the intensive care unit of Kauvery Hospital at 1.30 am. 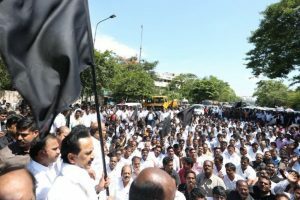 At least 12 anti-Sterlite Plant protesters have died since Tuesday in police action at Tamil Nadu's Thoothukudi. 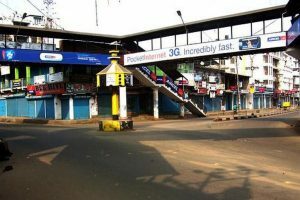 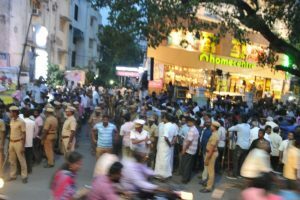 As per reports, 11 people died in police firing, and another succumbed to the injuries he had sustained during lathi-charge. 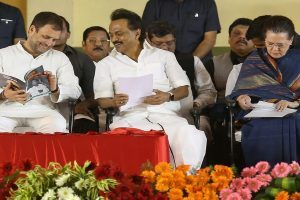 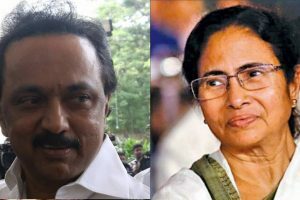 Mamata Banerjee thanked Dravida Munnetra Kazhagam (DMK) working president MK Stalin on Wednesday for his support to the federal front that the West Bengal Chief Minister is trying to forge ahead of the 2019 Lok Sabha elections. 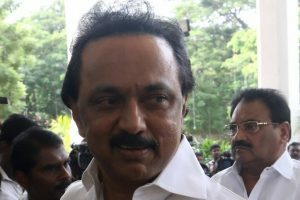 MK Stalin, the working president of the Dravida Munnetra Kazhagam (DMK), met Tamil Nadu Governor Banwarilal Purohit at Raj Bhavan on Friday requesting him to take up the Cauvery water issue with the Centre. 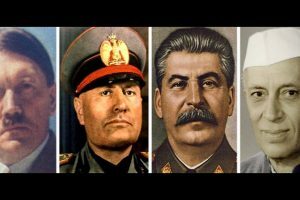 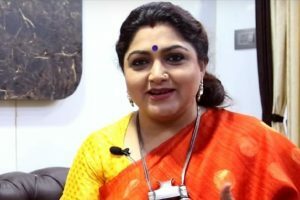 Continue reading "Stalin detained for protesting VHP’s Ram Rajya Rath Yatra"
Continue reading "Shutdown affects normal life in Tamil Nadu"
Continue reading "Feels like first day at school: Khushbu on new film"
Continue reading "Protesting DMK MLAs taken into custody"